Suzanne Elledge Planning & Permitting Services, Inc.Crane Country Day School - Suzanne Elledge Planning & Permitting Services, Inc.
SEPPS assisted Crane School in obtaining approval of their CUP Master Plan. The private elementary school is located in Montecito with expansive views, green fields, distinctive architecture, magnificent trees and outdoor spaces. Their Master Plan will modernize the campus and enhance these characteristics while providing new development to meet their educational and functional needs. Future structures and improvements to the campus include landscaping enhancements, new administration and classroom space and a future multipurpose building, restrooms, kitchen and storage. 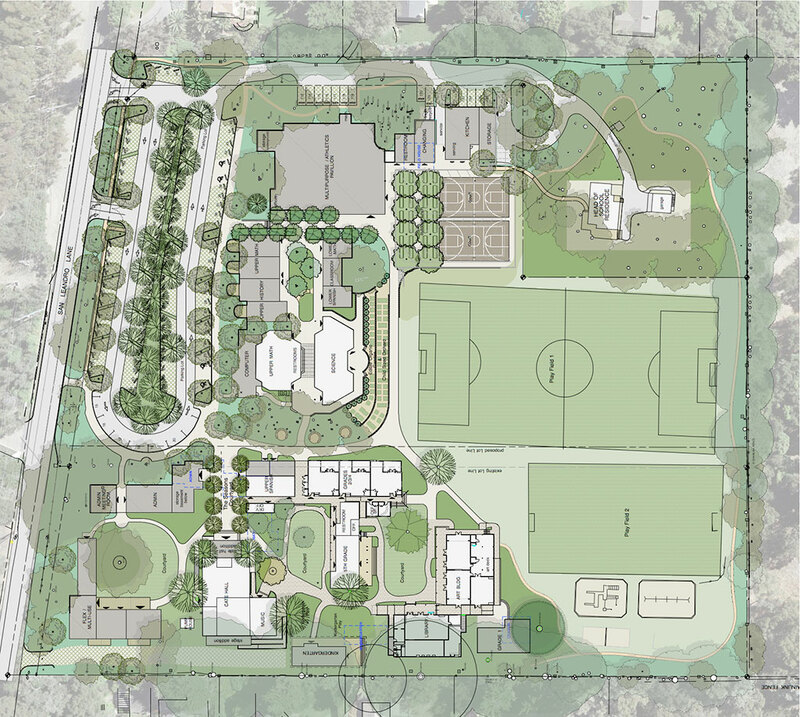 The first two phases of the plan, the new kindergarten building and upgraded parking lot have been completed and the third phase, the Oak Tree Quad is in queue. Future phases of the Master Plan will be constructed over the course of several years and SEPPS hopes to continue to assist with these follow-up permits and continue to work with Crane as their vision comes to fruition.